Hand woven cotton. One size fits all. 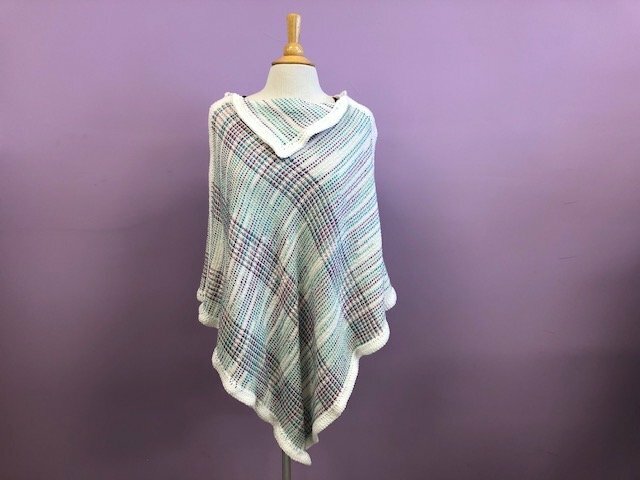 This beautiful poncho can be worn with the points at the front and back - or, turn the points to the sides for a different look.